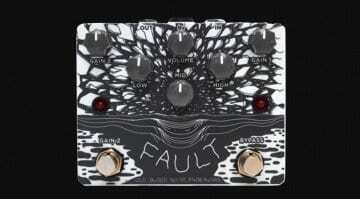 Based in California, F-Pedals is introducing a new distortion unit: the Nikaos. Designed for Greek producer Nikolas Farmakalidis, the Nikaos is a mini-format pedal. 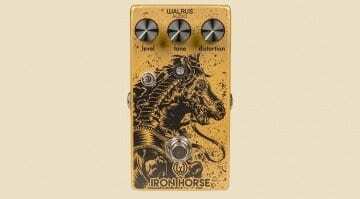 That means some compromises in terms of controls, yet it appears this distortion still has much to offer. 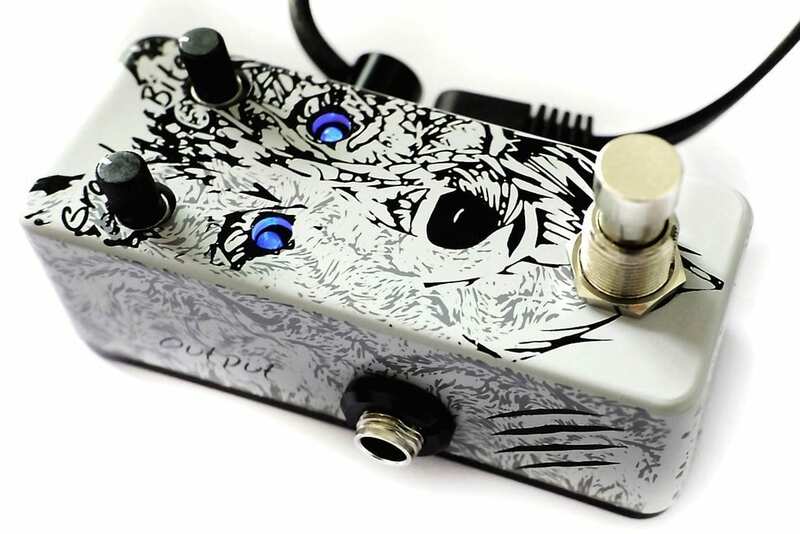 The Nikaos has a very simple layout, consisting of two mini pots labelled Growl (volume) and Bite, plus a footswitch to engage the pedal. 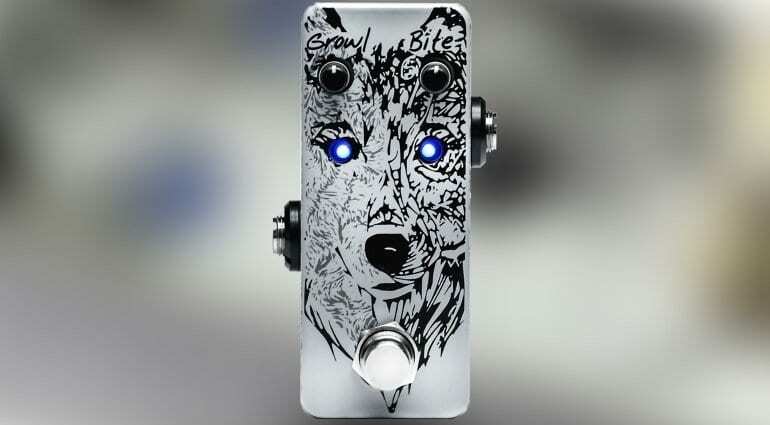 And you can’t help noticing the two bright blue LEDs that form the eyes of the wolf emblazoned across the front of his lupine-themed pedal. 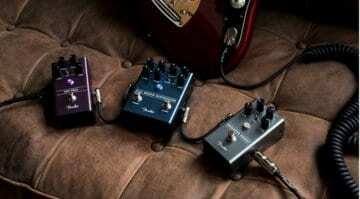 The amount of distortion delivered by the pedal is more or less controlled by your guitar’s volume control and your own playing dynamics. If you have a listen to the official demonstration video below, you will hear straight away how responsive the Nikaos pedal can get. I really don’t know much about Nikolas Farmakalidis or his work as a producer, but I do quite like the core tonality of this distortion pedal. It is always hard with video demos to get a complete picture of what a pedal can achieve, but this demo I feel does a good job of getting over the character of this little pedal. Yes, the eyes light brighter according to your playing dynamics. Yes, it is really small and will need to run off of an external power supply. Okay, it isn’t exactly cheap. But I do think it sounds pretty good and so I would be willing to try one out in my rig. 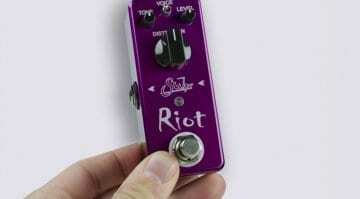 As ever with boutique pedals that you cannot try before you buy, you run the risk of not liking it in your own rig. But this one genuinely seems to be worth a punt.